TIMES Printpak acting managing director Chishimba Chishimba has expressed concern at the widening gap between journalism learning institutions and the media industry. Mr Chishim ba said many journalism students had been detached from the realities of the industry such that they struggled every time they were tasked to transform theory into practice in newsrooms. 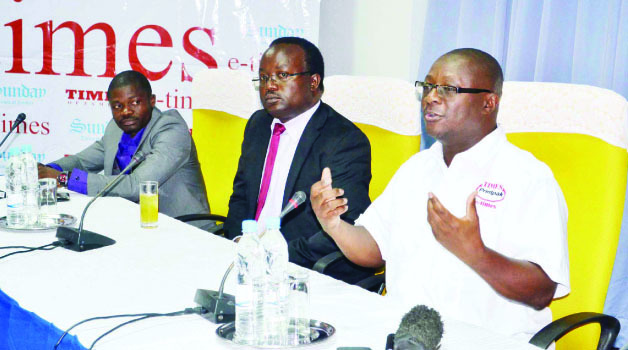 He was speaking in Lusaka on Friday evening during a public discussion forum on e-times and technology usage in the media. “We thought that it is important that we bridge this gap and bring the students closer to the industry,” Mr Chishimba said. The e-times, a full electronic version of the Times of Zambia and Sunday Times of Zambia has taken root after the launch last month. Friday’s public discussion forum was aimed at bringing students in higher learning institutions closer to the industry and enable them appreciate the usage of technology in the media. Some of the students who attended the forum were from Evelyn Hone, Lusaka Apex Medical University and ZAMCOM as well as bloggers from the Zambia Bloggers Network. He said the e-times was one of the many innovations that the company had embarked on and needed input from the students and lecturers. Mr Chishimba said journalism should be beyond its theoretical norms of educating, informing and entertaining by critically looking at development and governance. 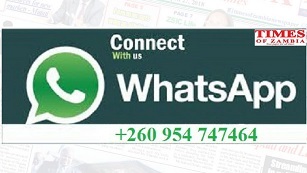 Book publishing editor Charles Simengwa, who also made a presentation on e-times, said the company was proud to be the first institution in the country to produce an electronic version of the newspaper. Mr Simengwa said the e-times was devoid of bad elements that had been associated with the social media as it carried the exact content as the hard copy. He noted that the coming of technology had seen the emergence of the social media and the company was following trends by introducing the electronic version of the Times of Zambia. Meanwhile, assistant sales and marketing manager Timothy Kaputo, who also made a presentation on e-times, said the electronic version of the newspaper was more accessible regardless of the location. In his contribution, ZAMCOM business development, ICT and research manager Mwenda Mupashi commended the Times Printpak for the innovation of the e-times.